Jess couldn't remove the smile from her face all day! She beamed while getting ready, through the entire ceremony, and to the very end of the night even though her feet ached. 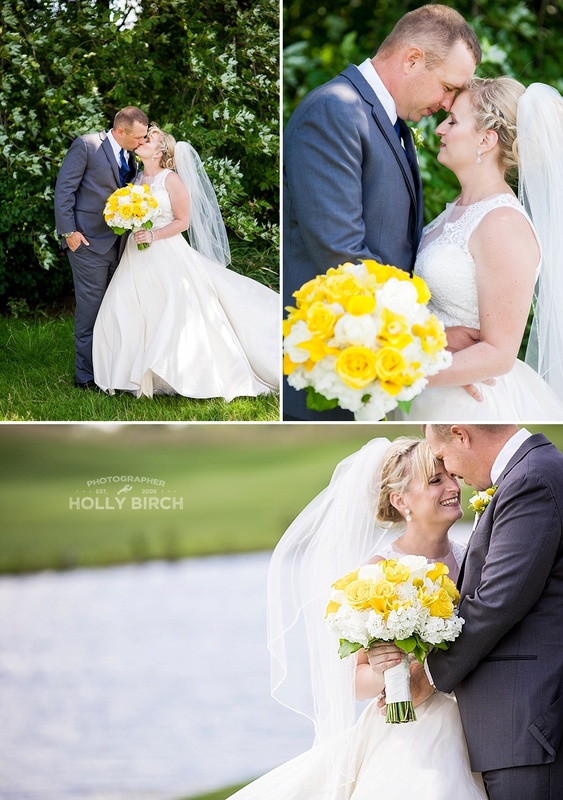 She was overheated from dancing the night away in her dress, but it didn't matter -- she was finally Mrs. Shipley! Matt started out the day a bit nervous, and compulsively checked his watch all day to make sure we were on schedule. But you should've seen their First Look. It was awesome to see how he calmed at just seeing Jess in her gown for the first time. His shoulders relaxed and he began to fully enjoy the day himself. They compliment each other so well, and it was fully evident on their day. 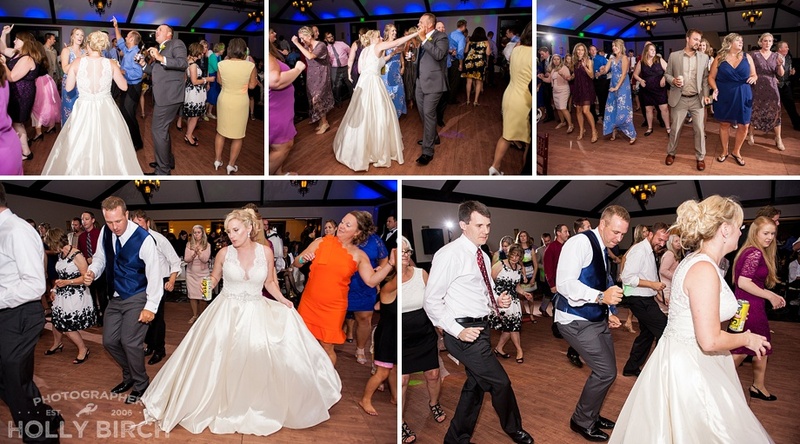 Not many grooms dance as much as Matt did, but he was out on the dance floor most of the night! Some of my favorite parts of the day were when Matt almost slid the top of the cake right off the table when they went to cut it (luckily he didn't! ), their sunset photos (oh my goodness -- wait until you scroll to those! ), and just watching the wedding party and their families interact on the trolley on the trip to and from the church. You also don't want to miss the "big blue sky" ones... some of my new all-time favorites! Jess looked amazing in her gown, and by the end of the day she said she felt like a model with all the posing we did. I set up one of my same-day slideshows too, so she was able to see how amazing they looked in their portraits. Matt is a also college friend, so it was fun to catch up with some of our mutual friends from his fraternity -- such a fun night! Leave a comment below for Jess + Matt and after 50 comments, they'll receive a complimentary 11x14" print of their choice!! 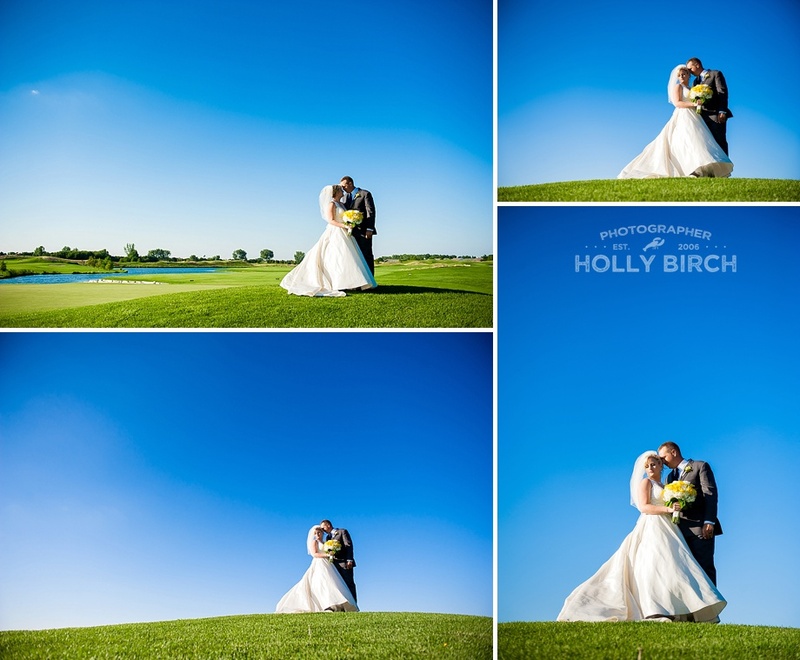 Contact Holly to book your own wedding or engagement session!